Your mind provides logic and the ability to figure out complex problems, but the gut offers intuitive responses. These responses are felt around the solar plexus, which is also known as the seat of emotions. Through its promptings, the gut alerts you when to take action or when not to take action. It guides you towards certain paths, and tries to keep you safe. It does this through you emotional sensations, which I will refer to from hereon in as your solar intuition. When you understand and trust your ‘gut-feelings’, your solar intuition can guide you through life simply by the way something feels. The more adept you are at differentiating between the many subtleties of your gut’s promptings, the smoother your life will run. When it comes to decision-making, you can turn to your solar intuition for guidance. If, for example, a certain choice causes a heavy sense of dread in the gut, that choice is likely not a good one. If a decision feels calm, peaceful or uplifting then that choice is probably safe. Your ego-mind (or another person) may tell you otherwise, but the Empath’s feelings are nearly always spot-on once you ‘understand’ how to interpret them. I place extra emphasis on ‘understanding’ how to interpret them for a reason! Fear of the unknown or a fear of stepping from one’s ‘comfort zone’ is often confused with the vibration of a bad choice. Just because you have fear about a new path does not make it the wrong path. And this is why knowing how to discern between gut-sensations is imperative. It is often the first sensation you feel that is the correct one, after that is when doubt (fear) kicks in. As the old saying goes: ‘doubt is your greatest traitor‘. If you start having doubts, after initially feeling positive about doing something, they often hold you back and prevent you from doing it. That said, it is also easy to ignore your solar intuition’s warnings when you have a strong desire to do or try something your gut is telling you not to do. 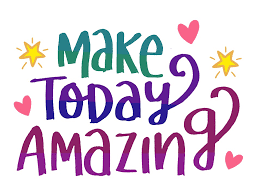 You will look back on your life now and remember a time when you disregarded your solar intuition’s promptings not to do something and went ahead and did it anyway. I guarantee whatever it was you ignored it came back to bite you. And this is why you have such vivid memories of ignoring it. The good thing is you can use that event, and gut sensation, as a point of reference for right or wrong decisions. If something feels off in your gut area, about a situation, it is the time to start the questions. Because you don’t always get your answers as a worded message you have to provoke internal responses by questioning your Self. Questions such as: ‘Is this the right path for me?’ or ‘Should I let this person into my life?’ will give you gut sensations you can then interpret. You don’t always get the answers you want to hear but always trust your solar intuition! Keep an eye out for my next post ‘7 Steps to Develop Intuition’. Hope this helps you on your Empath journey of transformation. Donations can be made here. Thank You for your kind support. 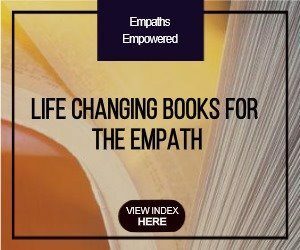 Click on the image opposite to find books written for an Empath by an Empath. « Should Empaths Develop Mediumistic Abilities? And a Word of WARNING! Spot on :D. I remember a couple years ago hearing about how the heart has a much more dynamic role to play when it comes to how we translate feelings into thought. A more intricate web of neurons in the heart than was previously believed was discovered where the heart sends more information to the brain than vice versa. It was incredibly interesting to hear the similar situation when it comes to the gut as well. I wouldn’t be surprised if most vital organs in this physical body had a similar relationship. What a great post to read!